Cute Bob Marley shirt on baby Kingston. We're not sure what all the hub-bub is about, but lawyers are threatening to sue bloggers all over the net for posting these pics. In our opinion these law firms should be thanking the bloggers for all those billable hours, perhaps in a P.S. at the bottom of their sue-letter. 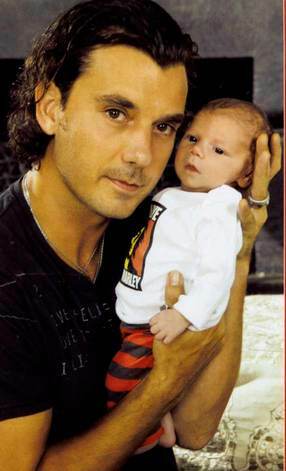 And yes, Gwen Stefani and Gavin Rossdale have a very, very gorgeous baby. Cheers.